E-mail communication system with subscription capability. 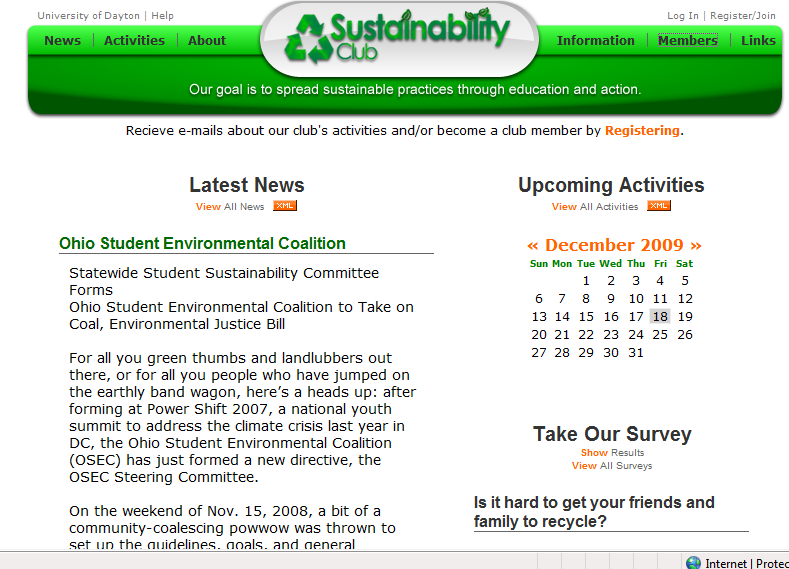 Built in 2005, the sustainclub.com site was used for three years. In 2008, the new club webmaster transitioned the website to Google Groups.